Chez Nijel Traditional Vinaigrette. 500ml. Home > Sauces/Mustard > Chez Nijel Traditional Vinaigrette. 500ml. This vinaigrette is great whether you are having a picnic, BBQ, or banquet. 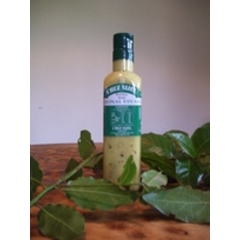 This delicious dressing with it's unique taste will truly enhance and complement your buffet. Ideal for Pastas, Seafood, Smoked Fish, Avocados, Vegetables or any salad of your choice.